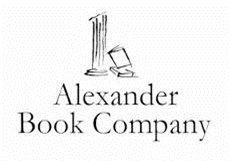 Alexander Book Company | Your downtown and SOMA bookstore with 3 floors of books. Greetings...Books must state ON OUR SHELVES NOW for same day in store pick-up. We recommend calling (415-495-2992) to verify low stock numbers.